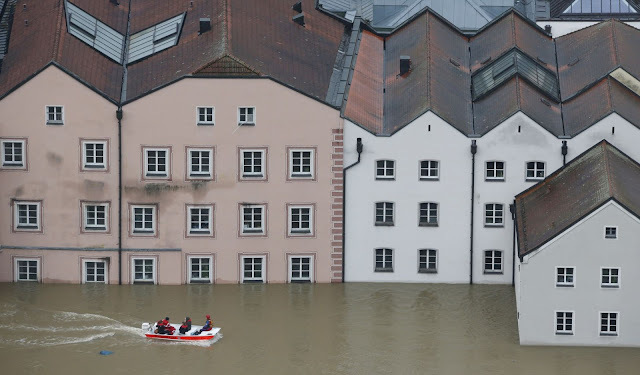 At least eight people are reported dead and nine missing as flood waters rise across sections of Germany, Austria, Switzerland, and the Czech Republic. The city of Passau in southeast Germany was among the hardest-hit, with water relentlessly pouring in from three swollen rivers as rescuers used boats to evacuate stranded residents. The German army has sent 1,760 soldiers to help with flood defenses, while in the Czech Republic, authorities are scrambling to erect more barriers to protect Prague.